The benchmark Nifty is back above the 11,000-mark for the first time since Oct 1.
four-month high, the broader market continues to go through turbulence. 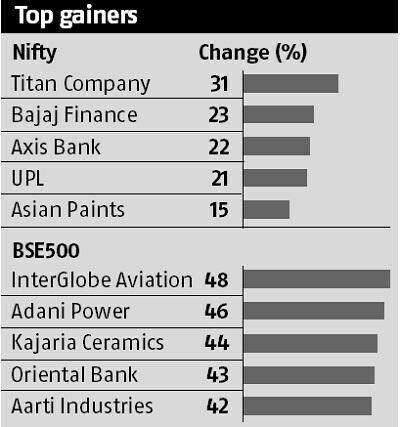 Only a third of the stocks in the BSE500 index and 21 stocks in the Nifty 50 index are currently above their October 1 levels. 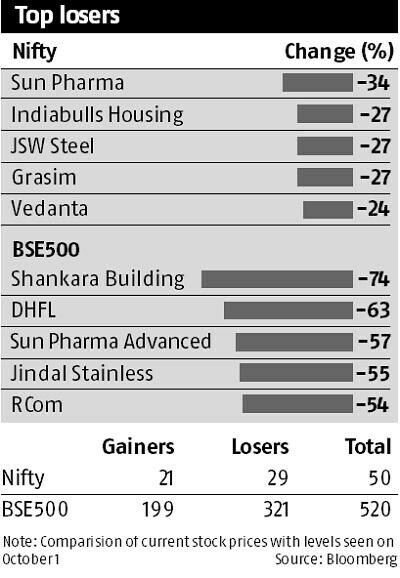 A fourth of the stocks in the Nifty and BSE 500 index are down more than 15 per cent since October 1. 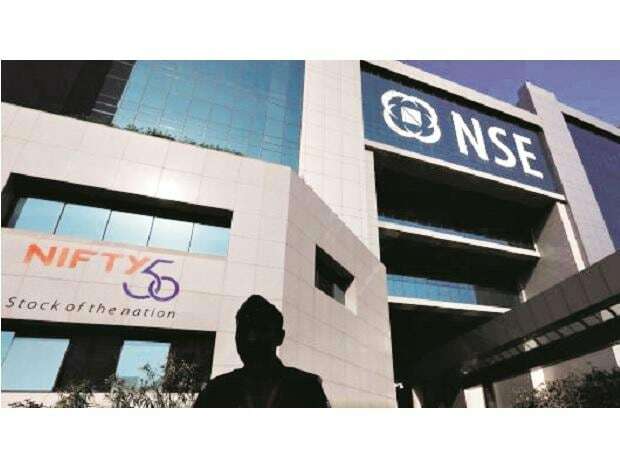 The 10 per cent rebound in the Nifty from its October lows is on account of gains in index heavyweights such as ICICI Bank, HDFC and RIL.